It may not be a 'hype' subject but for me this book was a small 'eye opener' of sorts. It's not only 'spooks' and the like who collects information, naturally. Intelligence is also collected in the battlefield by specialized units via SigInt and other sources. And is undoubtedly very important to any battlefield commander. 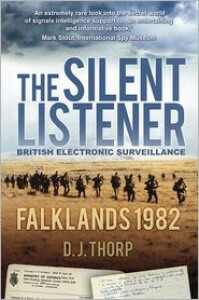 And as I am currently in a 'Read about the Falkland War' mode this book fell in well. But something in the narrative somehow irks me. The author leaves the impression of being a bit stiff and priggish in a war of flexibility, can-do attitudes and makeshift solutions. And a bit righteous in some of the tales he relates. But that may just be me.